Windsor is a Bay Anglo-Arab Gelding, and he stands at 15.3HH. Windsor was born in 1997. 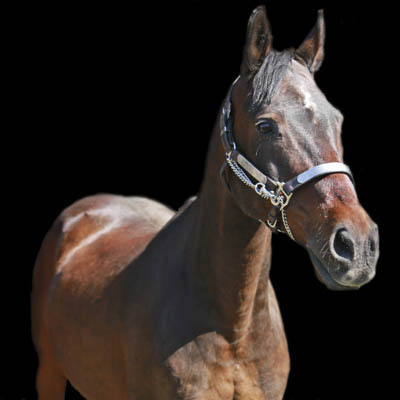 Windsor started as a Therapeutic riding horse in 2014. Windsor is sponsored by Windsor Ford Grande Prairie. Windsor had a very active show career before he started with PARDS. He was a familiar face on the dressage circuit, and competed up to Training Level. Riding Windsor can be beneficial to riders with Multiple Sclerosis. His three smooth gaits (walk, trot and canter) can help improve muscle tone, balance, coordination, protective reactions and overall physical condition. His narrow base will be comfortable for riders with tight/spastic legs muscles.